Comedy makes the world go ’round. There are few other artistic genres that allow the artist to express thoughts and ideas that are possibly rude, abrasive, racist, sexist, or just pessimistic in nature, but they still get the designated audience to laugh. Comedy can turn the worst scenarios into the most hilarious circumstances. Take for example, Richard Pryor joking about lighting himself on fire, or Chris Rock opining about dead black children. Both topics come from a dark place, but in the comedic realm, we open ourselves up to laugh at the misfortunes the world, together. Maybe that’s why watching comedy specials have become one the most popular forms “Netflix and Chill.” Finding shared humor next to someone can be just as intimate as the actions that happen next. 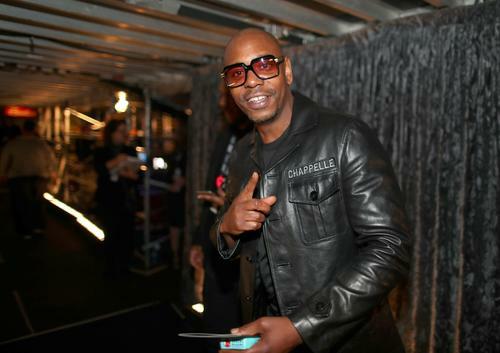 Netflix has commissioned several comedians to perform specials just for them, such as Chappelle, Rock, and Amy Schumer. The checks that were written for those comedians have been at the center comedian Mo’Nique’s recent call for a boycotting Netflix. Although sister Mo’Nique may have a point in her fight for equality, it’s hard to boycott a company that brought Dave Chappelle back into our lives, for four separate specials. Humor is supposed to bring people together, not tear them apart. Netflix has a dungeon filled with comedy specials somewhere. That’s the only explanation for how many stand-up comedians have shows on the streaming service. Digging through dozens upon dozens Netflix shows can kill the mood even before the show starts. Frustrating, we know. That’s why we have compiled a list the ten best stand-up specials on Netflix right now. From Dave Chappelle to Mike Birbiglia, these are the comedy specials worth watching this month.